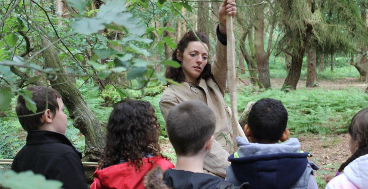 We use a range of skills, natural materials and field-based experiments in order to offer a greater understanding of how Prehistoric people lived. 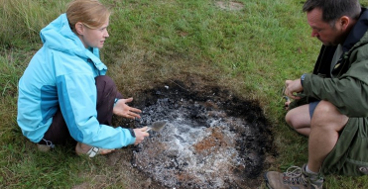 Through reconstruction or living history role-play, we aim to discover how our Mesolithic ancestors procured and processed materials, such as creating tar or clothing fibres. We investigate the techniques that Prehistoric people used to create tools, clothes, and other resources, and learn the bushcraft skills they would have used for navigation and tracking. Find out about the courses we offer, the people in the team, and our experiential teaching. We work with schools, colleges, universities, museums, and youth groups to deliver experiential learning packages suitable for curricular or extra-curricular activities. Learn how to thrive in the natural environment by developing skills in firecraft, tracking, and shelter-building, as well as how to create tools from natural materials. 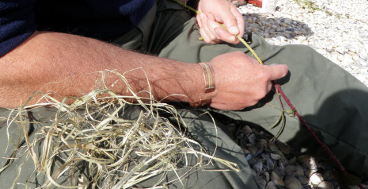 The Mesolithic Resource Group was founded by Dr Peter Groom and Dr Tine Schenck who both have a strong interest in experimental archaeology and natural history.